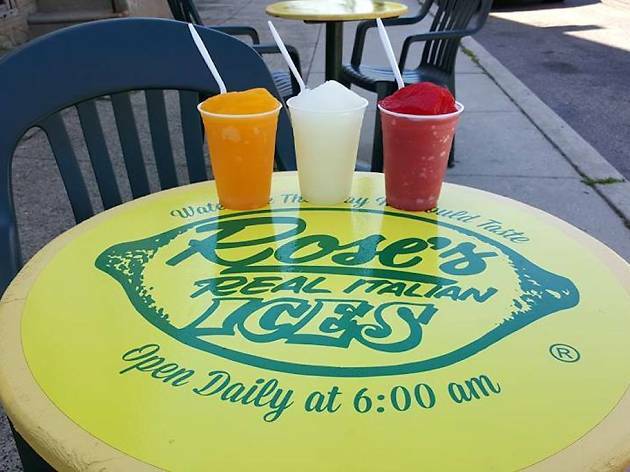 This marine-green corner takeout window and a sister Ridge Avenue stand are almost all that's left of a water-ice dynasty that started with Rose (last name not known) selling water ice out of her Feltonville garage in the 1950s. 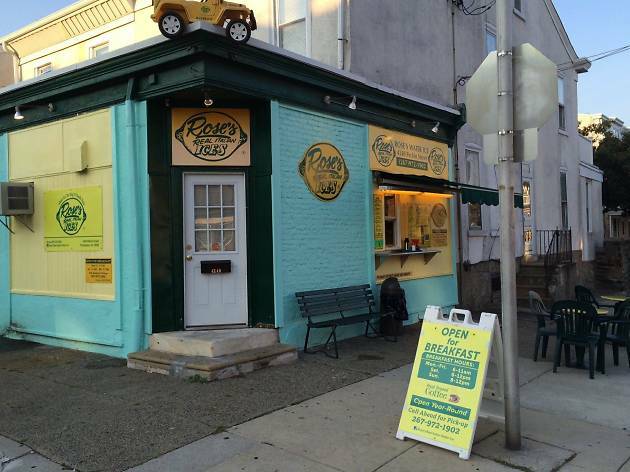 The operation once included three Northeast iceries and a fleet of converted post office Jeeps that served as food trucks before food trucks were cool. 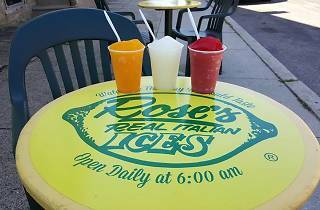 Go for the lemon, cherry, chocolate and mango flavors that are still made from Rose’s recipes. 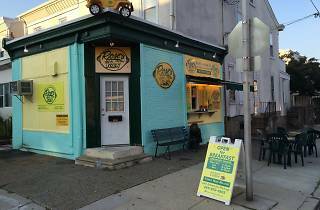 The original owners were Mr and Mrs. Rich Remolde and I believe their first store was in Feltonville, a corner basement with window service across from the Tabor Rams field. Great memories of that truck coming down the street. Just saying. FYI.